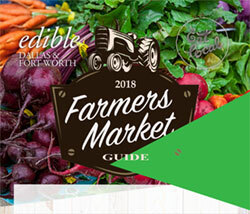 Edible Dallas & Fort Worth readers are informed, engaged and passionate about supporting our mission and our advertising partners who make it possible. They are champions of local businesses—and not just when it comes to food and drink. We empower our readers to grow gardens, explore urban homesteading, and pursue sustainable practices like water harvesting and renewable energy. They dine out frequently, but are also terrific home cooks and gardeners, active in pursuing healthy lifestyles. They enjoy exploring local breweries, wineries and distilleries. They are seeking an experience and a relationship with businesses they patronize. They will discover your business in the pages of Edible Dallas & Fort Worth. Edible Dallas & Fort Worth Magazine? Your ad gets read. 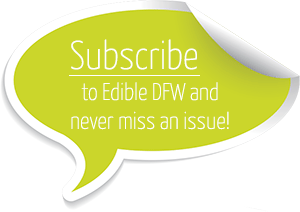 Our readers seek out, savor and save each copy of Edible DFW. Our advertising to editorial ratio is designed to create a perfect balance. By producing this award winning, beautiful and informative magazine, we inspire readers to support the business that advertise with us. You get added value. 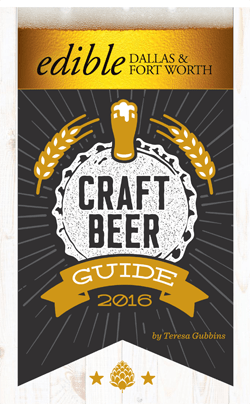 You get complimentary listings in both our print and online Source Guides. Readers use this directory to find the advertisers that support our mission. Your ad will also appear in our on-line digital edition (on-line digital issue and source guide has a direct link to your website). You also have a chance for exposure via social media and at many events we sponsor or attend throughout the year. Think of your ad as a mini PR campaign. Get a steady supply of Edibles for your customers. They’ll thank you for it and come back for more. Targeted, direct access to informed readers who not only care passionately about food and drink…but also value other local quality products and businesses. You gain trust with your customers. 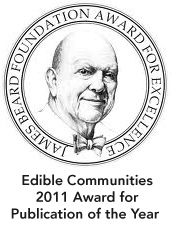 By becoming an advertising partner with Edible DFW, you are aligning your business with our trusted brand and the movement to strengthen and rebuild our food and local communities. You will be also a part of spreading the word of healthy eating and sustainable living. You get visibility. We choose our distribution points carefully, offering them at unique locations throughout the area that will benefit your business. With distribution at places like Whole Foods Market (12 in the DFW area), and other key points, your ad will get great exposure. Free ad design. We offer our services to build one ad from your logo, images and text supplied by you. 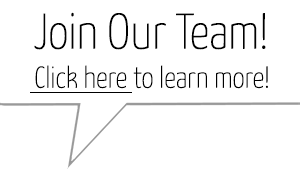 We will work with you to create a well designed ad. Just call or email us prior to ad deadline. CLICK HERE TO PURCHASE or PAY FOR AD NOW!